A queue is a pipeline for long running tasks. You define jobs that line up in the queue and then will be executed one by one. Utilizing queues can substantially increase the user experience by reducing load times. 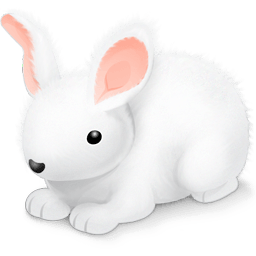 CloudAMQP is a hosted RabbitMQ service provided from "84codes AB" from Sweden. RabbitMQ implements the standardized Advanced Message Queing Protocol (AMQP). You can sign up with just your e-mail (double-opt in) or your GitHub/Google account. Since you can scale later on at any point, we recommend to choose a small Plan, fitting with your needs. The plans page is linked from there if you are unsure how much you need. By default all outgoing calls from your fortrabbit App are blocked for security reasons. But you can request the fortrabbit team to open up any port for you. That doesn't take long and isn't complicated. Login to the fortrabbit Dashboard, navigate to your App > Firewall whitelist and request a custom firewall rule. Write nothing under the optional IP field and insert the port 5672 in the Port field. As descriptions we suggest "CloudAMQP" or the like. Once your request has been approved, which usually takes not very long, you are ready to use your new queue! You can use any AMQP library. The most popular currently is zircote/amqp. Also check out the install guides and find out how to integrate CloudAMQP with your favorite framework or CMS.